The September 2012 Great Oklahoma Classic is a 1955 Chevrolet Del Ray two door post belonging to John and Kay Lynn Dragoo of Perkins, Oklahoma. Over the years a car can become part of the family and can only have eyes for you! John and Kay Lynn truly love classic cars and the folks that own them. They are members of several car clubs and are part of the founding members of the Cimarron Starlite Cruisers. We are very fortunate to have both of them as members. 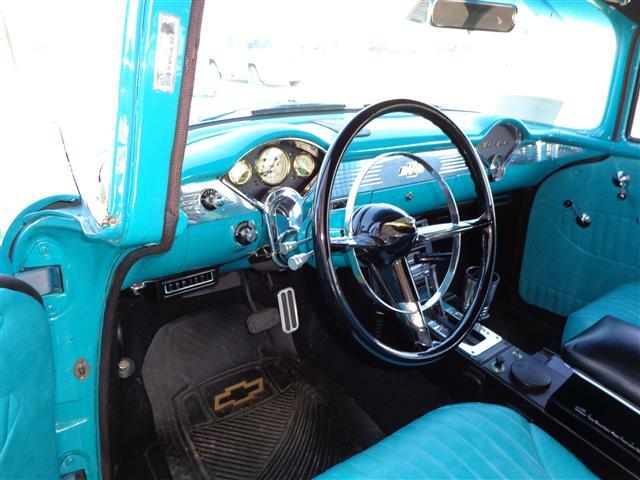 When John and Kay first purchased the 55 in 1983 it was turquoise and white. They later painted the Chevy all white. John and Kay Lynn gave the car to their son when he attended the University of Central Oklahoma. Later John purchased the car back from his son instead of letting him sell it to someone else. 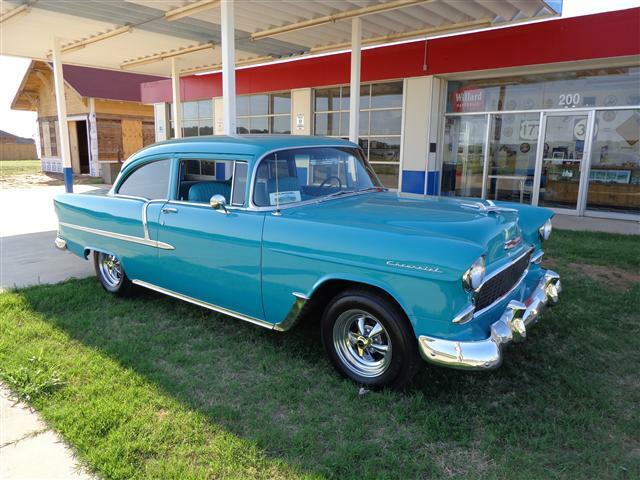 After several years of ownership John had a lapse in thought and sold the 55 to David Reeds of Newcastle, Oklahoma. David restored the car again and painted it the current beautiful Teal. In the fall of 2005 John and Kay made an offer and were able to purchase the Chevy for the last time. 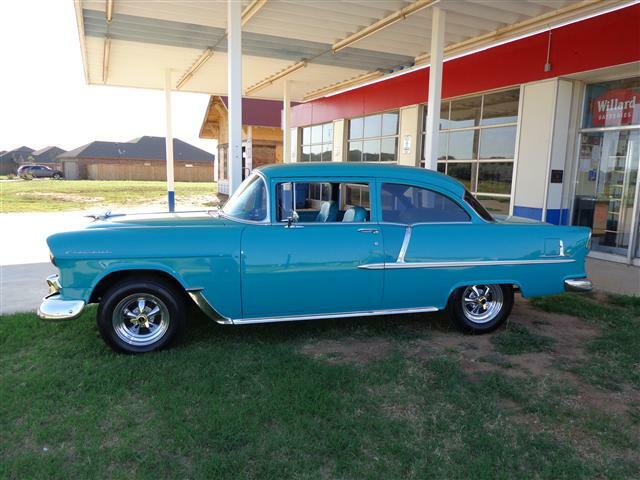 After purchasing the 1955 for the last time, John has continued to add upgrades and personalizing the Chevy over the last seven years. 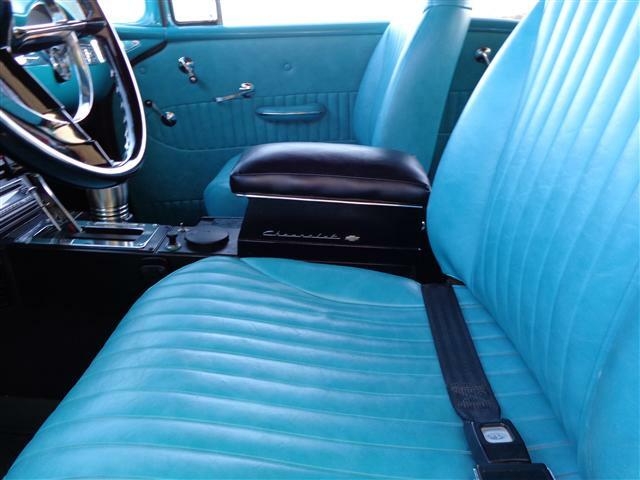 The interior has matching Teal bucket seats and updated dash, door panels, carpet and head liner. Other options that have been added is the air conditioning system and tilt steering column and classic steering wheel. John built the custom console which adds a classic look to the 55’s interior. 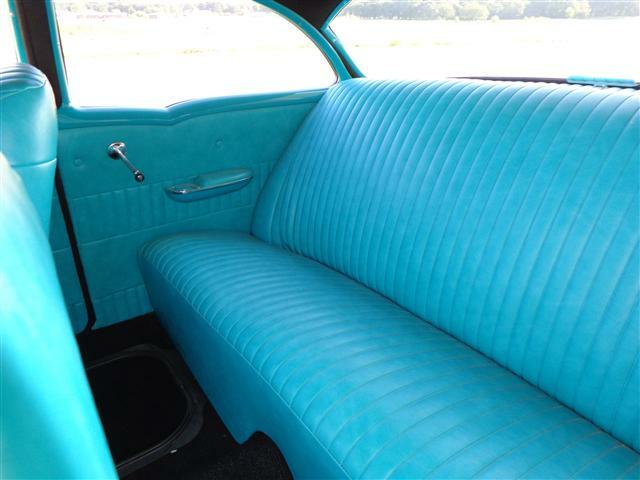 Color matched classic pleated seats makes the interior of this grand old Chevy look very natural with the build of the car. 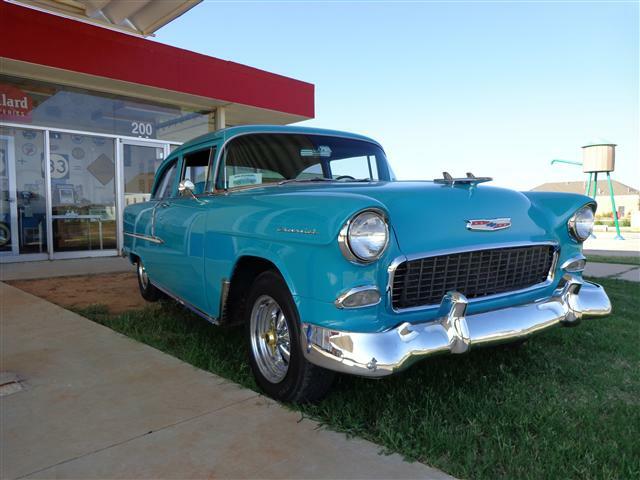 The 55 has had four different engines during its life and currently has a late model Chevrolet 350 Target engine with a 350 Turbo Transmission which was installed by Larry Myers of Edmond several years ago. 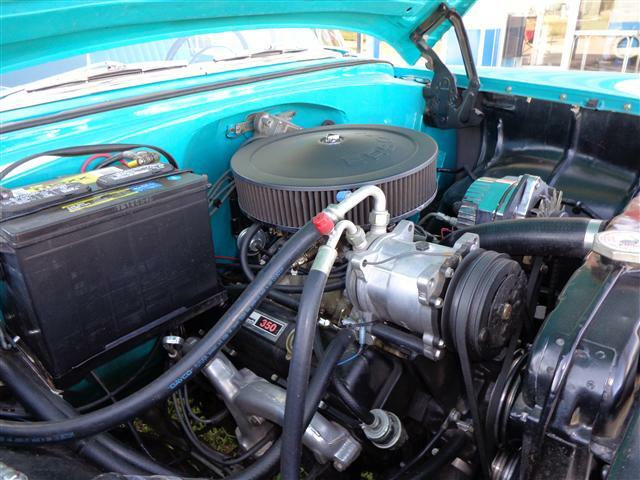 This engine and transmission makes the 55 Chevy very drivable. 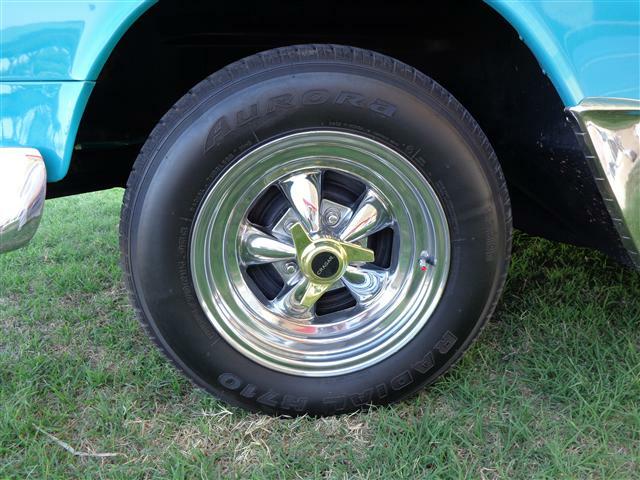 John replaced the fourteen inch original wheels with a set of classic chrome Cragar Fifteen Inch Mag Wheels. Mounted to the Cragar Mag Wheels is a set of P205/70R15’s Aurora Radials. 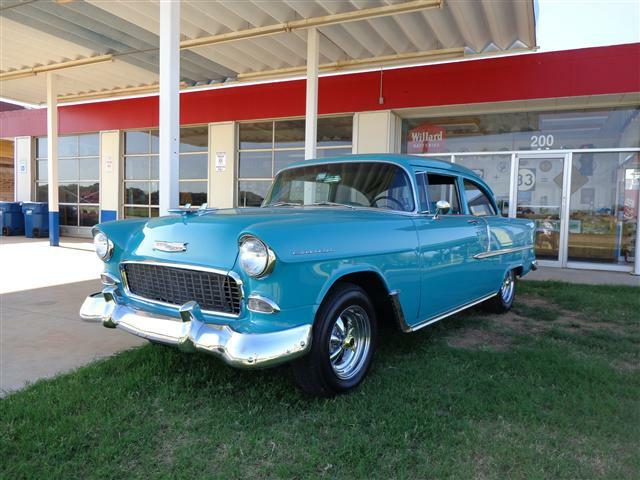 The Cimarron Starlite Cruisers sincerely appreciate John and Kay Lynn Dragoo for sharing their custom 1955 Chevy Del Ray as our Great Oklahoma Classic for September 2012!